Mi Salón Bilingüe: BEST BILINGUAL SUMMER WORKSHOP! We all want to get the best summer workshops during the summer but sometimes it could be very hard to find the ones that fit our needs. You know, there are all kinds of summer learning: the repetitive, the super advanced, the not-my-subject, the one that doesn't apply to your current grade level, the too easy, the one that you wish went beyond, the whaaat? etc... WELL, I got good news! 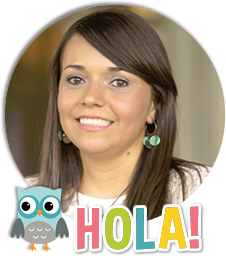 I found a fantastic workshop for bilingual teachers! Last semester, I received an email about a bilingual workshop; right there and then I was interested but it would cost me some money, thankfully my Principal also got the email and suggested that some of us went and we did. She paid the full cost and trust me when I say it was worth every minute! The training is given by a consulting company called VIDA. These two ladies will have you working hard creating material for your classroom. The presenters are very hands on, extremely dynamic and truly experienced. They provide the space, ideas and supplies. Additionally, they offer workshops in Social Studies, Science, Centers and Spanish Language Arts. I have already been to two of their PDs and can't wait for the third one to open up! The Bonus? They give the training fully in Spanish! This is a Phonics chart I made, here you can brainstorm words with all open syllable patterns. Flexible to your needs. Put the consonant in the middle of the web, orally form all 5 open syllables with that consonant then no the right add words that kids brainstorm with those syllables. This is absolutely wonderful to expand vocabulary and the correct use of language skills. The chart helps students to break down elements of an object orally where kids find attributes or characteristics among other things. This is a great example of rhyming activities, so this is how it works: you write a word, then change the first letter and substitute it with all the consonants of the alphabet. When kids master the skill put the chart in centers for kids to practice. Want to add rigor? Have students circle the real words from the words they created with the consonants. As they get better at it add longer words, then sentences. Ignore the objective on top, this chart is great but we had two examples and they forgot to change the objective on top. Basically you write the objective, add a picture to add vocabulary, then add a drawing or picture of the specific part of the picture you are learning from, then add what kids know in post its and what kids learned from that objective and keep adding as you expand in the unit/theme/topic.